Aquiesse defines sophisticated, indulgent ambiance by inspiring the emotions evoked through the bounties of nature. 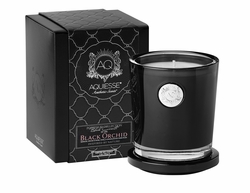 Their fragrances are meticulously blended by master perfumers using the world’s finest essential oils and extracts. Aquiesse candles are perfectly balanced in the purest natural wax, and ignited by a carefully selected lead-free wick for as clean, luxurious burn. 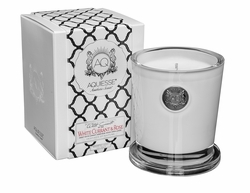 Designed to quickly infuse your space with just the right amount of fragrance. Sensual orchid, rose, vanilla sandalwood, and dark musk. Waffle cone, surf & sand, driftwood. Blend of fresh lemon, succulent Caribbean fruits, and tangerine cocktails. 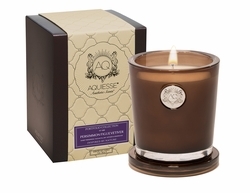 Sweet persommon, tuscan fig, dry vetiver & cedarwood. Ocean air, coastal flowers, and precious woods. Sweet white currant, sheer rose, and woody green leaves.